RVnGO is America's best marketplace to find RVs to rent in Missouri. Find your RVnGO! The city of St. Louis includes the Gateway Arch as a well-known landmark of western expansion that honors the explorations of Lewis and Clark. Built in the 1960s, the arch is a wonder of engineering, achieving a height of 630 feet. The highest point of the arch enables guests to appreciate an amazing view of St. Louis stretching 30 miles in each direction, or you can hop on a replica paddle wheeler to gaze at the marvel from the river. Visit the city of St. Louis in your RV rental in Missouri and enjoy the Gateway Arch. Drive your RV rental in Missouri to Kansas City where history of The Great War is preserved at the National World War I Museum. Designated by Congress at the nation's official WWI museum and memorial, it maintains the Liberty Memorial as a beacon of freedom and symbol of the courage, patriotism, sacrifice and honor of all who served. the Main Gallery shares a comprehensive history of the First World War through original objects, documents, video, recreated trenches and interactive tables. The historical center is a must for history buffs, housing one of the biggest and best accumulations of World War I relics on the planet. Fit for all ages and capabilities, anyone searching to explore beautiful natural formations can voyage on a Jeep-drawn tram through a cave discovered in 1862. A 55-minute ride filled with wonders including sections of stone extending from floor to roof, fragile stalagmites, delicate soda straws glistening with minerals and tiny pearls beneath crystal-clear water, The Fantastic Caverns is situated in Springfield, Missouri and is open all year with temperatures hovering around 60 degrees Fahrenheit. A spectacular campsite for a RVer driving a RV rental in Missouri to Columbia, the Cottonwoods RV Park is only a couple of minutes from the attractions of the city. It has 74 accessible full hookup spots with porches, fire rings, tables, and space for slideouts. Services and conveniences include a swimming pool, play area, open-air games, recreational hall, wi-fi web access, RV supplies, laundry rooms, and restrooms and showers for your camper rental in Missouri. You can remain at the Cottonwoods RV Park any time of the year. One of the top picks of RVers driving their RV rentals in Missouri to Springfield, the Springfield/Rt 66 KOA is a home away from home. It has 72 accessible spaces, 49 of which are full hookup spots with flame rings and tables. Services and luxuries include a swimming pool, recreational hall, play area, outdoor games, horseshoes, cafe, wi-fi web access, RV stockpiling, restrooms and showers, and laundry rooms for your RV trailer rental Missouri. Get up each morning tuning in to the birds singing at the Springfield/Rt 66 KOA. An ideal decision for a private RV rental to dock near Kansas City, Missouri is Worlds of Fun Village. It has 82 accessible full hookup spots with outdoor patio, picnic table, and charcoal grill. Services and courtesies include a swimming pool, whirlpool, game room, cafe, ATM machine, restrooms and showers, laundry rooms, wi-fi web access, and satellite TV for your RV rental in Missouri. Celebrated in late July to early August, the Ozark Empire Fair began in the mid 1900's. Initially a traveling showcase of state crafts and handwork, it has since advanced into one of the most memorable events in Springfield. It includes carnival rides, camel rides, petting zoo, live exhibitions, an auto show, rodeo, acting and talent shows, food and art sellers, Fairest of the Fair beauty pageant, and much more. Bring the whole family and have a ton of fun at the Ozark Empire Fair in a private RV rental in Missouri! Steer your camper rental in Missouri to Sedalia and appreciate the Missouri State Fair Since 1901, this 11-day occasion has been a competitive arena for neighbors to show off their best to win ribbons, coin, and recognition for agriculture and arts. Held in August it includes live shows, group rides, domesticated animals show, races and challenges, displays, rodeos, talent show, concession stands, loads of food and drinks, and much more. Turn into a fan of the Missouri State Fair when you visit in a RV rental in Missouri! 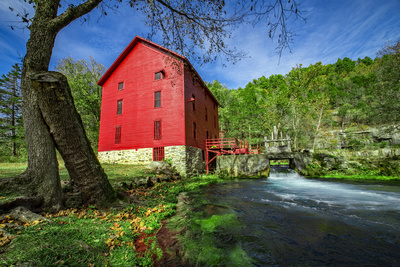 Missouri has a plethora of spots to visit and activities to appreciate the whole family. Book a RV rental to Missouri at RVnGO and become hopelessly in love with the "Show Me State"